It's amazing how our fears grow and change as we get older. I have never been afraid of spiders no matter how big they are or bees even though I am allergic to them. 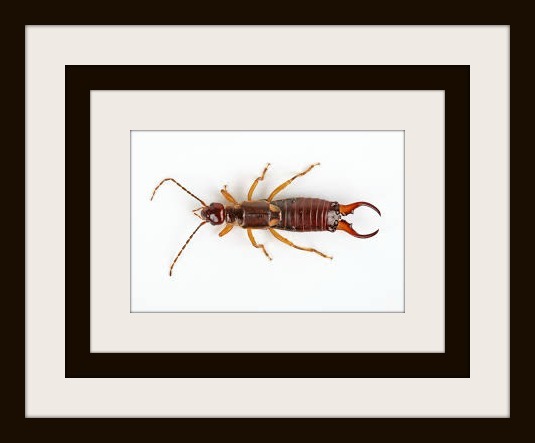 What gave me a heart attack and would have me running screaming when I was younger was the lowly earwig. Though it can be difficult to track down just what causes the fear, in this case I am pretty sure that I know exactly where the phobia started. I used to love Night Gallery with Rod Sterling. There was one particular episode where one form of torture was putting an earwig in someone's ear where they would burrow into the brain to lay eggs. It stuck somewhere in my mind. I remember jumping out of a moving car when I was in my twenties because one of those buggers hid in a bouquet of flowers that someone gave me. Sometime, and I am not even sure when, this fear faded away. Now when one of those pesky buggers crawls into the dog dish, I don't feel the need to call my husband to get rid of it. And spiders still don't phase me. But now I am afraid of heights. I discovered this new fear last year when I needed to get up on my roof. I couldn't do it. And I used to enjoy rappelling. Now if I could just figure out what caused this fear. Have you been able to overcome one fear to find that another had taken its place?